A one-time potential Hansen Pole Buildings’ client, who is a friend of mine on Facebook, didn’t invest in one of our engineered post frame buildings. Most likely it was due to price – people so easily believe they have gotten a great deal, when instead they set themselves up for nothing but potential grief. He proudly posted the photo above on Facebook of the progress of his new building. Disclaimer – in case you, gentle reader, were unsure – his new building is NOT a Hansen Pole Building. I will let you in on a secret which truly frightens me about this building……. If a load approaching what the loft should be designed to support is placed upon it, I venture to wager it will fail. Do not stand underneath it, by any means. As near as I can tell from the photo, the columns which support the second floor are spaced roughly 12 feet on center. It appears the floor joists are 2×12 spaced 16 inches on center and each end of the joists are supported by what seems to be another 2×12. Building design and construction are only as good as the weakest link. The building is in the deep south, so we will go with the premise the lumber being used is Southern Pine. The floor joists are not a problem – they would easily support double the normal design floor live load of 40 pounds per square foot (for residential loading). The problem comes from the beams which support them at each end. (40 + 10) X (72”) X 12’^2 / 8 X 31.6406 X 750 X 1.15 = 2.37 when it has to be less than or equal to one to work. The floor, as built, is overstressed by 237%!! 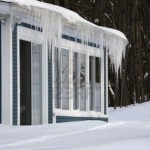 Or – think of it this way, it will only support 42% of what it should support by the BuildingCode!! In either case, it is frightening. Don’t construct (or have constructed for you) any post frame (pole) building which has not been designed by a Registered Design Professional (RDP – architect or engineer). To do so is scary pole barn design and nothing short of playing Russian Roulette. 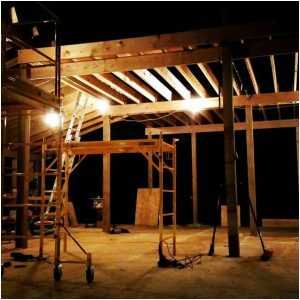 This entry was posted in Pole Barn Design, Pole Building Comparisons, Building Department, Lofts and tagged Pole Building Design, building design, loft design, floor joists, floor live load on December 2, 2016 by admin. While this time tested adage was designed to make sure lumber, siding, etc., gets cut correctly the first time (which is often the only chance), it is even more applicable – BEFORE ANY MATERIAL GETS DELIVERED? 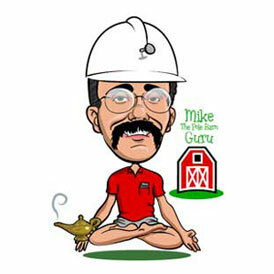 OK…..you may be thinking time has finally caught up to the Pole Barn Guru….the marbles are rattling around a little too loosely between the ears…. For most people, other than those who have built their own homes, this is going to be the largest (and often most expensive) permanent project ever done. Yes, your car, boat, motorcycle, airplane, farm equipment, semi may be more expensive, but if you mess up picking one of them, and don’t like the choice, you can easily resell or trade in on something which better fits your needs. 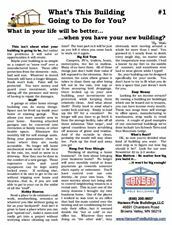 Oh sure, you can always remodel or add onto a pole building – but not without time (sometimes lots of time), effort, money, discussing and sometimes cussing involved. 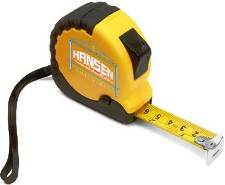 So, before anything gets ordered – get out the tape measure one last time and let’s make certain the cutting only needs to be done one time. Pole building planning is best done before the building is ordered! Believe me, I’ve dealt far too often with those who appear to do their planning after the building is constructed! Start with making sure the proposed pole building site is far enough away from property lines, easements, existing buildings, roads and alleyways, etc. This is where it behooves an extra trip to the local Planning Department, just to make certain the rules are clear and something obscure hasn’t cropped up since the last visit – like a change in the rules (I know it is hard to believe, but rules can and will change – usually at the worst possible time). Not actually 100% certain of where those property lines are? Don’t guess – being wrong can cause a world of heartache. Get them checked, way too often you will get some surprise results – like your neighbor’s new fence being on your property! So, you know the property lines, you know the setbacks. Physically go out and drive stakes where all four corners of the building will be, based upon what you think the footprint dimensions will be. Add more stakes where the doors will go (width appropriate of course). Now, park every vehicle and piece of equipment planned on being in the building – into the footprint. If a door stake is driven or backed over in the process, then the door better be relocated to give a better angle of entrance, or made wider. Don’t goof this one up, as taking off a mirror or putting a scrape down the side of almost anything is going to be more expensive than a wider door. Once everything is “inside” the footprint and at the intended “parking place”, the fun begins. Walk around everything you moved into the footprint. 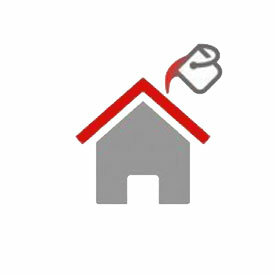 Remember exterior walls have thickness, and if planning on hanging “stuff” on walls (it will happen even if you do not plan on it) – allow appropriately. Open doors to make sure they won’t swing into walls, stuff on walls or work benches. If opening doors on two adjacent vehicles causes them to hit each other – there needs to be more space between them. Think you will never have a larger boat, camper, RV or piece of equipment? Statistically 90% of all building will have something bigger than what was planned for needing to be fit in!! Allow for it. 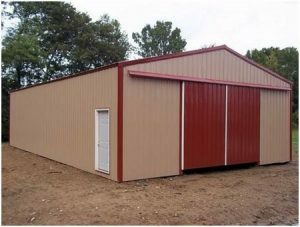 When everything is in place, allowances are made for things to be stored (both now and in the future), and all is clear….ADD 10% to both building length and width (as long as it is within the allowances from your Planning Department. You may just need to trust me on this one, there is never enough space inside a building. After over 15,000 pole buildings, I am still waiting the very first call from a client to tell me, “The building I built, is just too big”. Now – get out the tape measure again and actually measure the height of everything taller than you. Seriously now, don’t fudge, actually do it. Don’t guess – nothing broke my heart more than the client 25 years ago who sent me a photo of his beautiful new RV garage and shop…..with the RV parked out front because he just KNEW it was less than 12 feet tall. Surprise, it was 12’5” and wouldn’t fit in his new building. Order doors tall enough to get things in – the stuff you own today, and the stuff you just MIGHT need to get in tomorrow. Sure all of this took an hour or two. Better to have spent the time to plan it right now, than to kick yourself (or you have to listen to the spouse say “I told you so”) for the next few decades! This entry was posted in Pole Barn Design, Pole Barn Planning and tagged building design, cut once, measure twice, measuring for a building on March 4, 2014 by admin. Any time my readers get to thinking I have linked every possible subject beyond reason to pole buildings; I try to one up myself. Which brings us to Fibonacci…. Leonardo Fibonacci was an Italian mathematician who lived from about 1170 to 1250. He is best known for a number sequence named the Fibonacci numbers, which he did not discover, but used as an example in his book Liber Abaci. OK, so how am I going to hook our friend Leonardo to pole buildings? I am getting there. It turns out the sequential numerical elements of the Fibonacci numbers, approach what is known as “the Golden Ratio”. De Divina Proportione, a three-volume work by Luca Pacioli, was published in 1509. Pacioli, a Franciscan friar, was known mostly as a mathematician, but he was also trained and keenly interested in art. De Divina Proportione explored the mathematics of the golden ratio. Containing illustrations of regular solids by Leonardo Da Vinci, Pacioli’s longtime friend and collaborator, DE Divina Proportione was a major influence on generations of artists and architects alike. In mathematics and the arts, two quantities are in the golden ratio if the ratio of the sum of the quantities to the larger quantity is equal to the ratio of the larger quantity to the smaller one. Many artists and architects have proportioned their works to approximate the golden ratio—especially in the form of the golden rectangle, in which the ratio of the longer side to the shorter is the golden ratio—believing this proportion to be aesthetically pleasing. A golden rectangle can be cut into a square and a smaller rectangle with the same aspect ratio. Fast forward to the popular “gambrel roof” barn. Roof slopes of 24/12 and 6/12 are proportioned with the golden ratio. The short side of the right triangle is one half the length of the long side of the triangle. To create a gambrel roof with golden ratios…..
Use 24/12 for the steep portion of the roof, with the “pitch break” at 1/3 of the distance between the sidewall and the roof peak. The upper portion of the gambrel roof will be at 6/12 slope. As an example, with a 24’ wide pole barn, the pitch break will be “up” eight feet and “in” four feet (2:1 ratio). The overall roof height in a 24 foot width, will rise 12 feet (2:1 ratio). A real life example is the White and Black Hansen Pole Buildings administrative office building, with a gambrel roof of exactly the golden ratio proportions. This entry was posted in Building Styles and Designs, Pole Barn Planning and tagged building design, gambrel buildings, gambrel roof design, gambrel slopes on June 18, 2012 by admin. 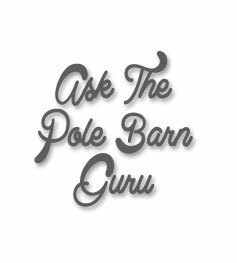 Why Sign Up for Pole Building Newsletters? “So you have pole building newsletters, why should I read an online ad to BUY BUY BUY from you?” asked a client recently when I suggested he sign up. “You are exactly right, and I wouldn’t either”, I replied. I went on to explain our newsletters are purposely designed to NOT “sell anything”. They are meant to educate clients so they make good choices about solving problems they have. Building problems. They have a horse boarding at an expensive facility 30 miles from home and don’t seem to get to ride their prized pet, but have space to put a horse barn on their property. 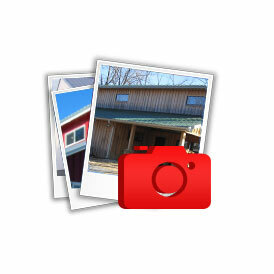 What type and size of horse barn should they buy and how should it be laid out? Maybe the client with the “problem” has a home business taking off, and the garage/basement just can’t hold all the merchandise anymore. Or, how about your expensive RV/boat/new car sitting out in the weather? How much value is going to be left after a few years with it being pelted constantly by wind, snow, rain and hail? I have heard of mice chewing up entire wiring systems and cushions in a half a million dollar RV! I literally wanted to put my head down and cry when a client told me his mice destruction story. A $15k or $20,000 building to store it in suddenly seemed like a bargain. You don’t leave your expensive new shoes, coat, or nice furniture out in the rain. Why would you leave something of great resale value such as priceless animals, cars, boats, airplanes out in the weather? Or maybe you just don’t know where to get started. How do I design my building? Where do I start figuring what size I’m going to need? What will the building department want to know? Or the planning department – are they going to require all kinds of information? How much is this all going to cost? 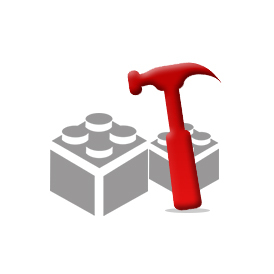 Can I possibly build it myself, or should I hire a contractor? How about if I get someone to put up the shell and I can save a little money to do the finishing work? What will things cost and what do I need to figure? What design/slope/type of building will best suit my needs? Should I insulate it, and if so what type of insulation do I need to buy? What type of siding/roofing should I choose and what colors are available? I don’t have the faintest idea of where to even start this type of a huge and complicated project! Or is it REALLY…. huge and complicated? My answer? Only if you want it to be! My solution is nothing you haven’t already heard of: educate, educate, educate! This is what the newsletters are all “about”: education. My goal is to give you all kinds of information on a variety of subjects related to building in general, and specifically, pole buildings. This all comes from probably over 14,000 buildings and 35 plus years of education from the finest university known to mankind: the College of Hard Knocks! What I tell you today, is a far cry from what I would have told you 30, 20 or even 15 years ago. Did I get a lot smarter over the years? Well, yes and no. Most of what I know today comes from asking lots of questions of people who knew more than I did, (Thank you Frank Woeste!) and had been in the business a lot longer than I had. It also came from testing, both in closely monitored labs (testing steel strength and screw requirements) and in just plain everyday trial and error. My Construction Guide alone grew from 49 pages to over 400 in the space of 10 years. Is this because pole buildings became a lot more complicated? Absolutely not! It was my lovely bride who took one look at the first Construction Guide I wrote eleven years ago and said, “You gotta be kidding me – I can’t build a pole building from this”! Dumbfounded I said, “why not?” And she proceeded to tell me! Pictures, diagrams, detailed instructions on every board, trim, screw and nail were outlined in a fashion even a 3rd grader could read and follow. Whew! Picky? Yes! And I’m glad she picked – me! So, long story short: my blog and newsletters both are sharing my knowledge with you, hopefully in a format you find both enlightening and entertaining. 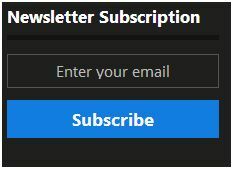 Sign up – for the newsletters, which come about once a week, and opt “in” to read my blog Monday through Friday weekly. If you learn something from them, great…and I thank you for allowing me to share my lifetime of experiences. If not, maybe you will share something of value about pole buildings with me! The day I stop learning – is the day I am no longer a fortunate man walking upon this earth. As always, there is the option to “unsubscribe” if you so desire. 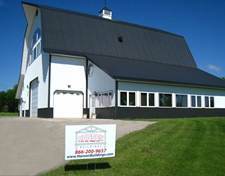 This entry was posted in About The Pole Barn Guru, Pole Barn Planning and tagged building design, pole building education, pole building newsletters on October 20, 2011 by admin.